WHAT CAN I DO? Safari in Tanzania: day and early morning game drive, photo Safari, balloon flights, private tours. Visit a Maasai Village. End of December, January, February - "short dry season" - recommended because it is dry, not too hot, it might rain during the day but only for a very short time. March, April, May, June - "long rains season" - rainy but green, wildlife concentrations are at their highest in southern Serengeti. June, July, August, September, October - "long dry season" - recommended because it's usually a fine, clear sky and sunny weather, not too hot. End of October, November, beginning of December - "short rains season"
The great annual migration: up to 2 million Wildebeests, Zebras, Thompson's gazelles, Impalas and Grant's gazelles. Predators, such as 3-4 thousand lions and huge numbers of cheetahs, leopards and hyenas. The Serengeti National Park is Tanzania's oldest and most popular national park, also a world heritage site and recently proclaimed a 7th Wonder of the World. The Serengeti is famed for its annual migration, when some six million hooves pound the open plains, and more than 200,000 zebras and 300,000 Thomson's gazelles join the Wildebeest’s trek for fresh grazing. Yet even when the migration is quiet, the Serengeti offers inargurably the most scintillating game-viewing in Africa: great herds of buffalos, smaller groups of elephants and giraffes, and thousands upon thousands of elands, topis, kongonis, impalas and Grant’s gazelles. 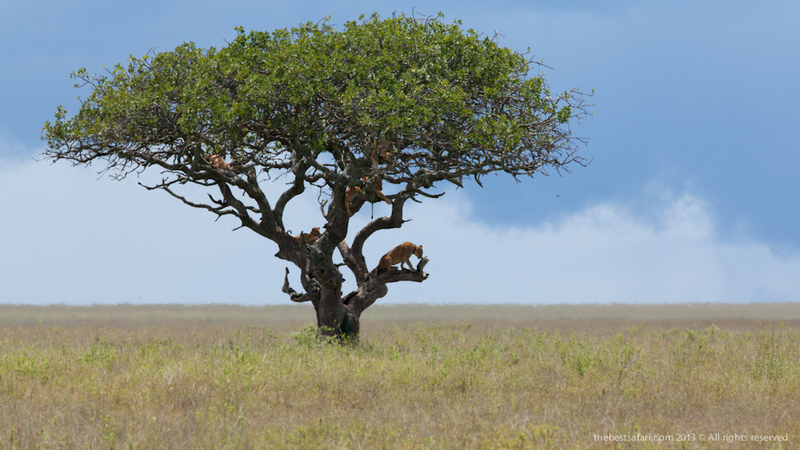 The spectacle of predators versus prey dominates Tanzania’s greatest park. Golden-maned lion proudly feast on the abundance of plain grazers. 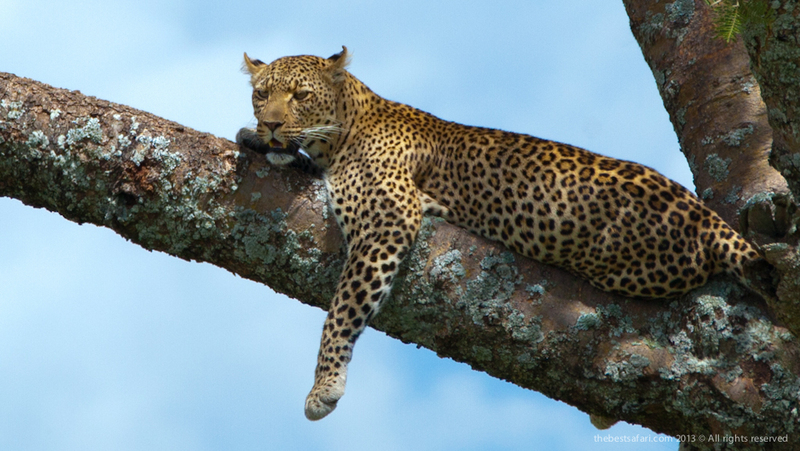 Solitary leopards haunt the acacia trees lining the Seronera River, while an abundance of cheetas prowl the southeastern plains. Almost uniquely, all three African jackal species can be found here, alongside the spotted hyena and a host of more elusive small predators, ranging from the insectivorous aardwolf to the beautiful serval cat. But there is more to Serengeti than large mammals. Gaudy agama lizards and rock hyraxes scuffle around the surfaces of the park’s isolated granite koppies. A full 100 varieties of dung beetle have been recorded, as have 500-plus bird species, ranging from the outsized ostrich and bizarre secretary bird of the open grassland, to the black eagles that soar effortlessly above the Lobo Hills. As alluring as the game-viewing is the liberating sense of space that characterises the Serengeti Plains, stretching across sunburnt savannah to a shimmering golden horizon at the end of the earth. Yet, after the rains, this golden expanse of grass is transformed into an endless green carpet flecked with wildflowers. And there are also wooded hills and towering termite mounds, rivers lined with fig trees and acacia woodland stained orange by dust. 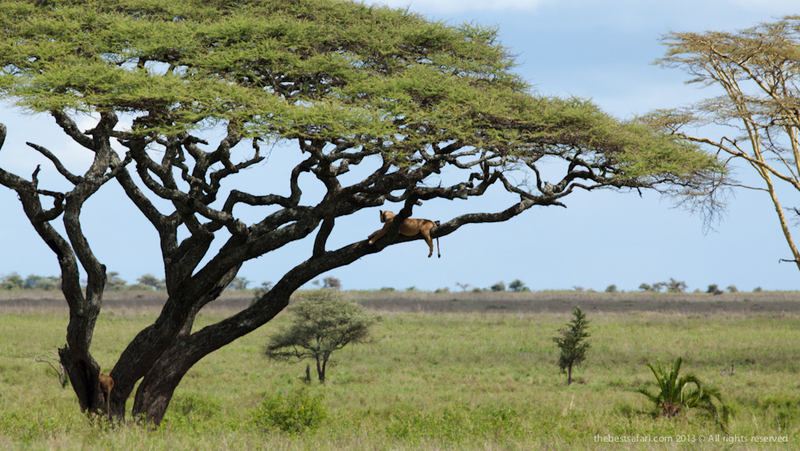 Copyright 2013 © Tanzania Private Tours - All Rights Reserved.